It’s… a late April Fools joke! Yeah! This is one hundred percent real, Japan already have this dlc. Almost forgot that Black Knight was a thing. 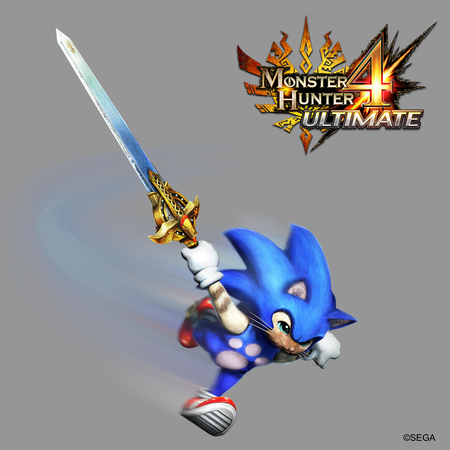 Yeah I was surprised that Monster Hunter would go for Black Knight DLC. 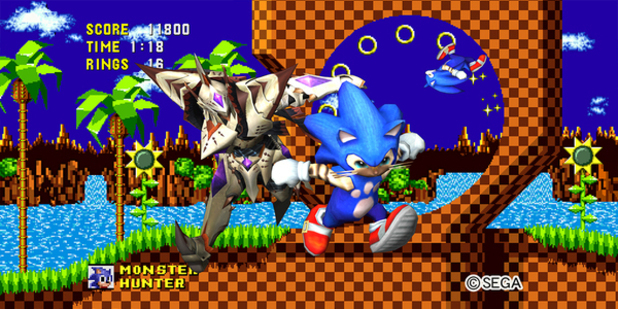 I’m not surprised to see Sonic then again a fan once stated that Black Knight looked like the Sonic characters were cosplaying as Monster Hunter (I got more of a WoW vibe from it but whatever). No April Fools Day here! Not related but I thought you guys here would enjoy this video from Youtube. I didn’t think the Sonic-thing was cute until it started bouncing around. )^v^) Now I want one. This turned out way cooler than expected, I was hoping they’d have a Piko Hammer for the palicoe’s blunt weapon.